Are you wondering what the differences are between Nikon Coolpix S7000 and Nikon Coolpix S9900? If you are currently looking for the best digital camera available for your budget, it is easy to end up choosing between these two models. Coming from the same series, Nikon Coolpix S7000 and Nikon Coolpix S9900 actually come at different price points. S7000 has always been loved by many because of the relatively affordable price and excellent performance. However, S9900 has also received lots of positive reviews. Which one should you choose? While Nikon Coolpix S7000 comes smooth and pretty straightforward, Nikon Coolpix S9900 appears to pack more power with the slightly bulkier design. Nikon Coolpix S7000 is very slim and lightweight that you can easily slip it into your pocket. The surface is smooth. On the front panel, you can find the lens along with the integrated flash, while on the rear, there are the 3.0” display screen and control buttons. Meanwhile, Nikon Coolpix S9900 is relatively bigger and thicker. The right gripping surface is textured to promote better, more solid handling. The display screen is also 3.0-inch, but, unlike Nikon Coolpix S7000’s fixed display, Nikon Coolpix S9900’s screen is tiltable and rotatable. Thus, you can easily shoot from difficult angles and take selfies while still seeing what the camera is aiming at! The resolution is also much higher, 921k dots, allowing you to have accurate image previewing. 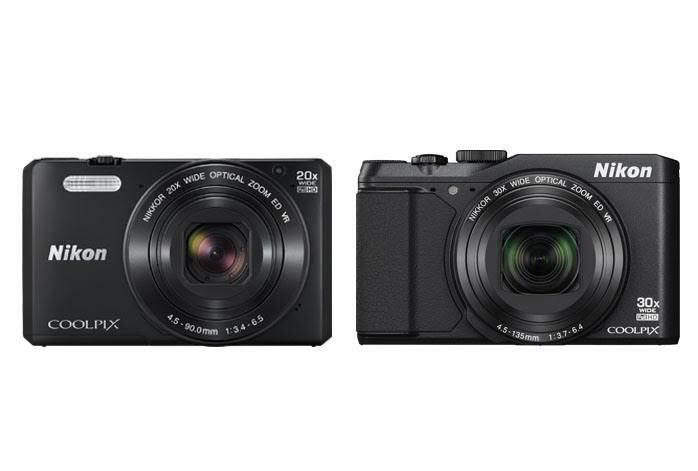 Have a look : Canon PowerShot SX710 HS vs. Nikon Coolpix S9900. Each of these two models is utilizing a 16MP 1/2.3” low-light CMOS image sensor with 100–6400 ISO range. They each also has built-in optical image stabilization. The image quality is awesome. They capture excellent details to deliver sharp and crisp images. The colors are also full and solid, and you can easily adjust the sensitivity level as needed. However, Nikon Coolpix S7000 actually has a slightly faster continuous shooting speed with 9.2fps, since Nikon Coolpix S9900 only has 7.0fps continuous shooting speed. Nevertheless, the lens is Nikon Coolpix S9900’s biggest advantage here. Nikon Coolpix S7000 may be sufficient for casual purposes with a 25-500mm Nikkor zoom lens capable of providing up to 20X optical zoom. However, for the more serious long-range shooting, you may need extra zooming power. Nikon Coolpix S9900 comes with a 25-750mm Nikkor zoom lens, which offers up to 30X optical zoom. The camera also provides manual exposure control. In addition, Nikon Coolpix S9900 also offers much longer battery life. In general, Nikon Coolpix S9900 makes the best way to go. It provides more zooming power and control. It is also much more flexible and versatile, thanks to the swiveling display screen.